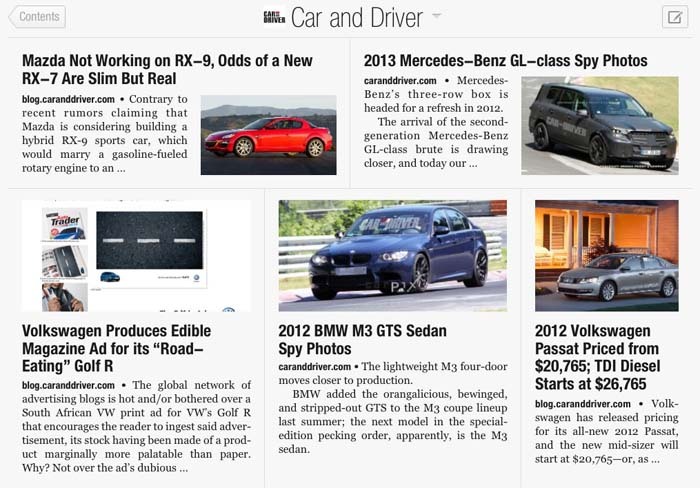 An AUTOMOBILE MAGAZINE is a magazine with news and reports on automobiles and the automobile industry. Automobile magazines may feature new car tests and comparisons, which describe advantages and disadvantages of similar models; future models speculations, confidential information and "spyshots" (pictures of camouflaged models tested by automakers); modified automobiles; lists of new models with prices, specifications and ratings; used car advertisements; auto racing news and events; and other information. The first published automobile magazine, beginning in 1895, was The Horseless Age, which later became Automotive Industries Magazine. motorsport.com - "F1 News, MotoGP, Le Mans Racing, Indycar." Vintage Mustang Forums - "Classic Mustang classifieds, parts supply directory, club finder, newsgroup, engine sounds, video, pictures, trivia, related links and information."